Once your company has passed the start up stage, your focus is sure to turn towards longevity. While there are no guarantees in today’s business world, there are some best practices you can implement to give your company the best chance to last. Staying power isn’t something that comes without hard work, it’s important to realize that what you put into your company is more than likely what you’ll get out of it. Building a company that lasts is not an easy task and takes focus and dedication, without the drive to make it happen, it will be impossible to build a sustainable business. Here are a few business growth strategies to build the foundation your company needs to flourish well into the future. In our first piece, How to become a Great Owner and CEO, we covered the importance of having a broad knowledge base, knowing your strengths and weakness, keeping up with technology, taking chances and being available. Of course, there are many more ingredients that comprise a great owner and CEO. While some believe being a great owner and leader is something you’re born with, there are things you can focus on to improve the way you run your business and the way your customers and employees view you. The success of any small business starts at the top, a great owner is imperative to the growth and survival of a company. 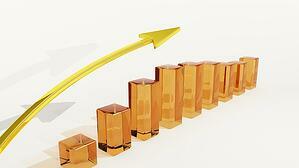 Here we’ll outline a few more business growth strategies to help improve your business.